The headlines screamed that we needed to increase the National Debt to prevent an economic collapse. Wait a minute. Is that the whole story? Much is said of how the increase of the National Debt ceiling is inflationary, and it surely is. But the gain by the United States government is only temporary. 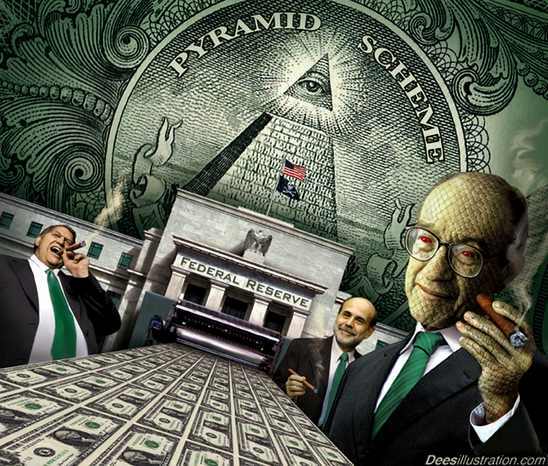 The real profit goes to the Federal Reserve and Wall Street but that profit is hidden from Congress and the public. Pundits are reacting with aghast at Bernanke’s QE2. The purpose of QE2 is not for the benefit of society; it is a desperate attempt at self-preservation by the Federal Reserve. It will not salvage the Ponzi scheme.